These four sided bars can be stamped on all four sides making them perfect for children's names, birth dates, birth details or special words. 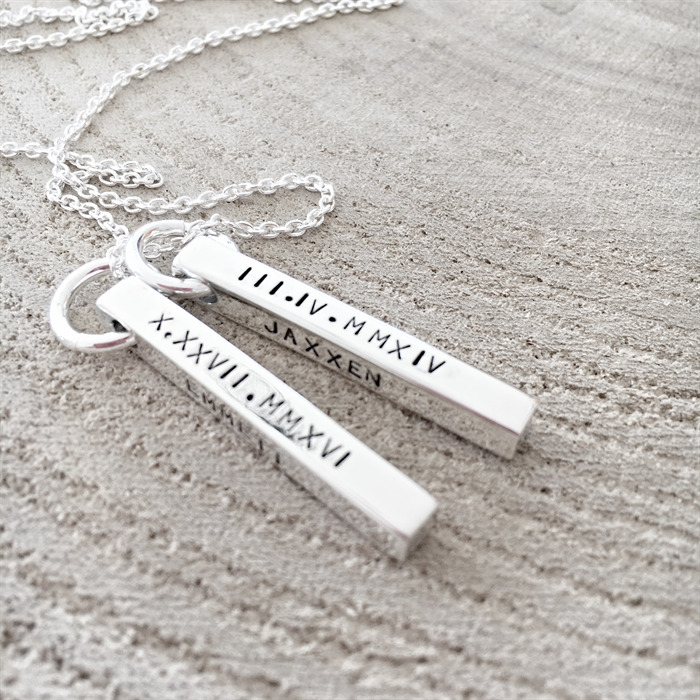 The bars are sterling silver and measure 1.25'' long. 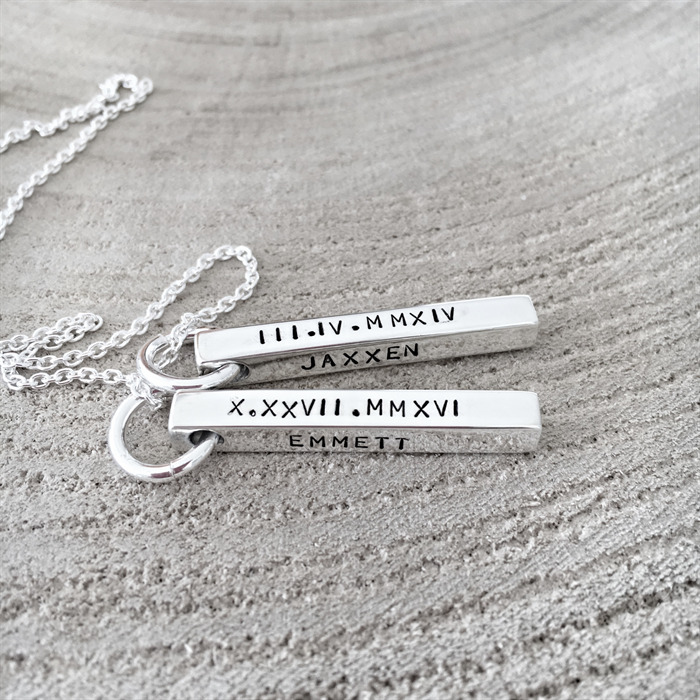 There is a message to seller section at checkout where you can leave the details for stamping and you may choose chain length at checkout. Chain is sterling silver ball chain. 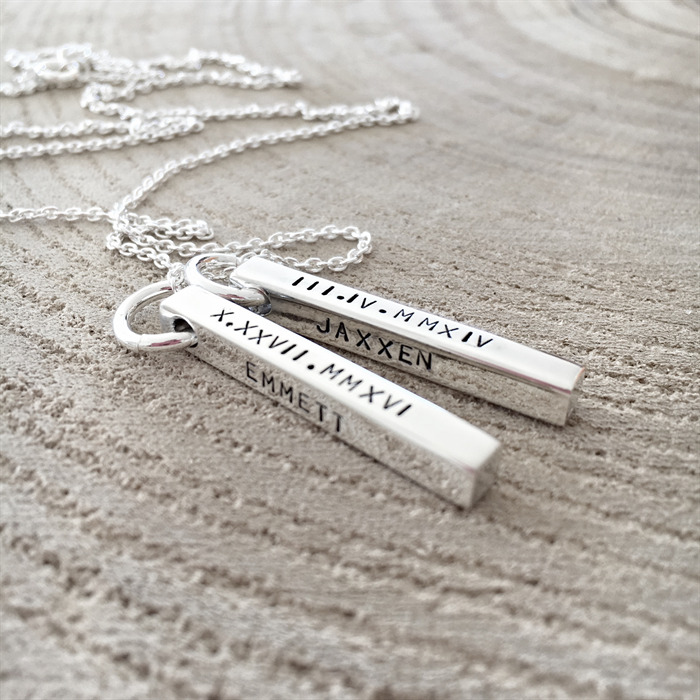 There is a 7-10 working day production time on all hand stamped items. If direct debiting please make payment within 24hours.